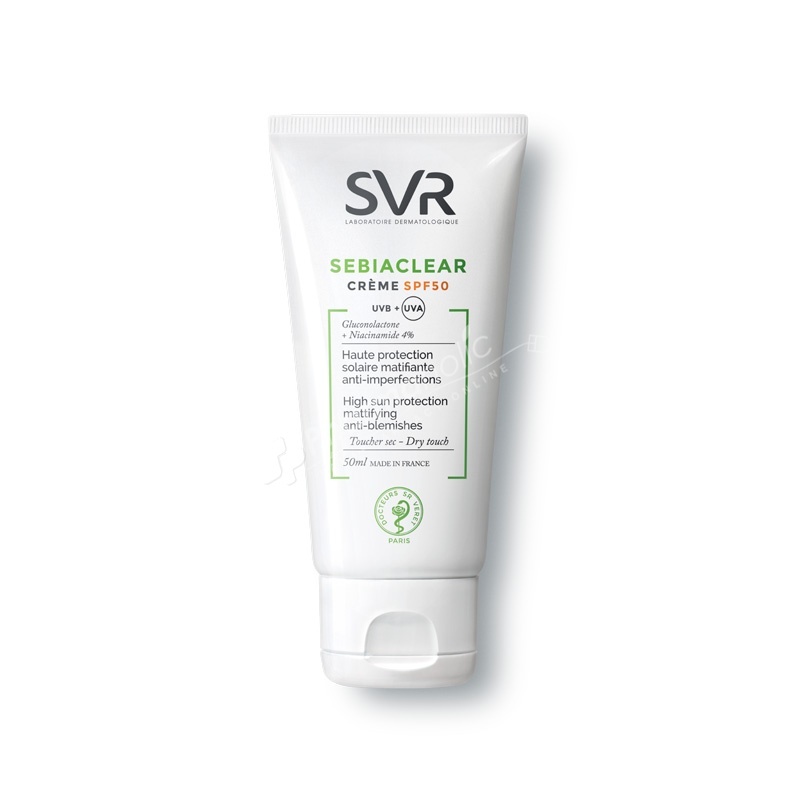 SVR Sebiaclear Crème SPF50 is the high sun protection skincare treatment for combination to oily skin prone to blemishes. Anti Acne, it moisturizes and mattifies all day long. Sebiaclear Crème SPF50 is the high sun protection skincare treatment for combination to oily skin prone to blemishes. Anti Acne, it moisturizes and mattifies all day long. This excellent effectiveness is combined with optimal tolerance and incredible pleasure of use. Proven effectiveness after 7 days on blemishes. GLuconolactone, for an anti-inflammatory action and incredible keratolytic power. As effective as AHAs with extra tolerance. Niacinamide for antibacterial and sebum-regulating effectiveness.